Tech FCPA Whistleblower: Want a Reward? Look at the Channel! FCPA whistleblowers who report technology, telecom, and communications (collectively tech) companies bribing government officials may be eligible for a reward under the Dodd-Frank reward program. This is part one in a series that will examine international tech corruption and how to identify potential reward eligible information. Current and former tech employees and current and former employees of channel partners, resellers, and distributors are eligible for large rewards for reporting bribery confidentially to the U.S. Securities and Exchange Commission (SEC). In fact, almost anyone with knowledge of the tech sector can be a Dodd-Frank FCPA whistleblower. But to do so, it is important to understand how tech corruption schemes work and what information would be most helpful to regulators. To best understand how tech corruption schemes work, one should examine the discounts and rebates that tech companies provide to their channel partners. SEC-regulated tech companies will often use resellers and distributors to make sales to government customers in foreign countries. Many of these channel sales involve bribery, and in the vast majority of these cases the bribes are paid by the channel partners from the margins and rebates received from the SEC-regulated companies. Many tech corruption cases involve their channel partners selling licenses and maintenance contracts. Software license and maintenance sales are often very profitable because once a tech company has developed its software or technology, its primary expenses going forward are sales and marketing costs. As referenced above, a typical tech channel sale will have the company selling to a distributor at a discount which then resells to a channel partner which then resells to the government end customer. 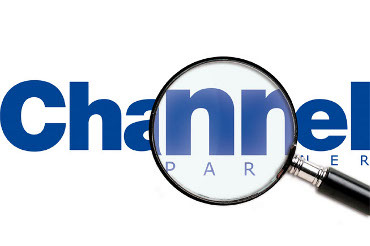 When this channel model is applied to software licensing and maintenance deals, the channel is simply doing paperwork and is not providing any significant added value to the deal. The involvement of the channel, however, does significantly increase the government end customer’s purchase price. The difference between what the tech company receives when it initially sells the licenses to the channel and the amount the government end customer ultimately pays is the margin, and the margin often exceeds 50% or more in many cases. Typically, a reasonable channel margin for a licensing deal where the channel is simply executing paperwork ranges from 3% to 10%. Anything above 10% raises serious corruption issues and the real possibility that the channel used some of the margin to provide kickbacks and incentives to government decision makers. When tech sells licenses and maintenance, the sales can take place very quickly once a sales decision has been made because the channel does not have to physically deliver anything to the customer. Instead, the tech company can simply email the license keys to the government end customer. In many cases, only where a customer is new and may need the software installed would the channel need to spend time performing installation. What frequently happens, however, is that a channel partner or sub-distributor is added to the channel model for no legitimate reason. The insertion of a partner or sub-distributor into the channel serves only to artificially raise the price for the end customer and allows for an additional margin to be added so that there will be sufficient funds to bribe the government procurement personnel who are responsible for approving the deal on behalf of the end-user customer. In some cases, government officials will insist upon a “preferred” channel partner to make the license or maintenance sale. This also can be indicative of a corrupt sale. Below is an example of how the channel bribery scheme works. Assume SEC-regulated Big Tech sells 5,000 licenses to its Bulgarian distributor for $500,000 which then resells to preferred partner for $515,000 which then resells to the Bulgarian Ministry of Education for $550,000. Let’s assume that this is a straight license sale with no value-added work, such as end-customer training by the partner. Under this example, the channel’s margin is 10%. One can assume if the distributor and partner have a small or reasonable margin – which would be sufficient to cover any taxes or out-of-pocket expenses they may have and provide them a fair profit for the time invested in completing the required paperwork – then the channel is not providing kickbacks or bribes to government officials at the Bulgarian Ministry of Education. But what if the partner instead resold the licenses to the Bulgarian Ministry of Education for $1 million. The margin would then be 100%. When there is a large unexplained margin, one can assume corruption may be afoot. Many SEC-regulated companies have agreed-upon margin ranges with their partners and resellers. But these companies typically do not want to audit those deals because to do so would expose the channel bribery scheme and be very bad for their foreign affiliates and business. In an attempt to create plausible deniability, tech companies will often contractually agree to not review or audit the pricing of the end customer contract between the reseller and the government customer. These type of agreements can be indicative of possible corruption. If anyone has information about SEC-regulated tech companies or any of their channel partners – distributors, resellers, consultants, or agents – providing money, trips, gifts, or jobs to government officials to obtain government deals or tenders, he or she should contact me at arickman@rickmanlegal.com to discuss making a confidential or anonymous submission under the Dodd-Frank program. For more information and details about how the reward program applies to FCPA whistleblowers, please click here.